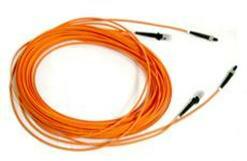 We are a fiber optic cable supplier, and manufacturing fiber optic cable company. 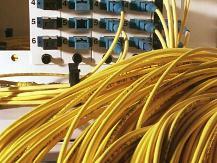 With a large range of optical cable products including the single mode cables and multimode cables for OSP (outside Plant) or indoor applications. We are also competitive on custom fiber optic cable assemblies, our fiber cable products are our delivery, reliable quality and at competitive prices. We have been doing the best to improve our fiber optic cable products and services to maintain optical cable quality to meet the requirement of the world market. Our quality control systems include the procedure from supply inspection to final products inspection. We put a lot of effort into improving our production facilities. By these ways we can provide customers with stable good quality fiber optic cables and products. Thank you for considering us as your supplier of the fiber optic cables; we look forward to having the opportunity to work with you.